Since 2014, DayCape has offered a digital image calendar and planning tool for teachers and parents with children who need additional support. DayCape is available both through a web browser and as an app. 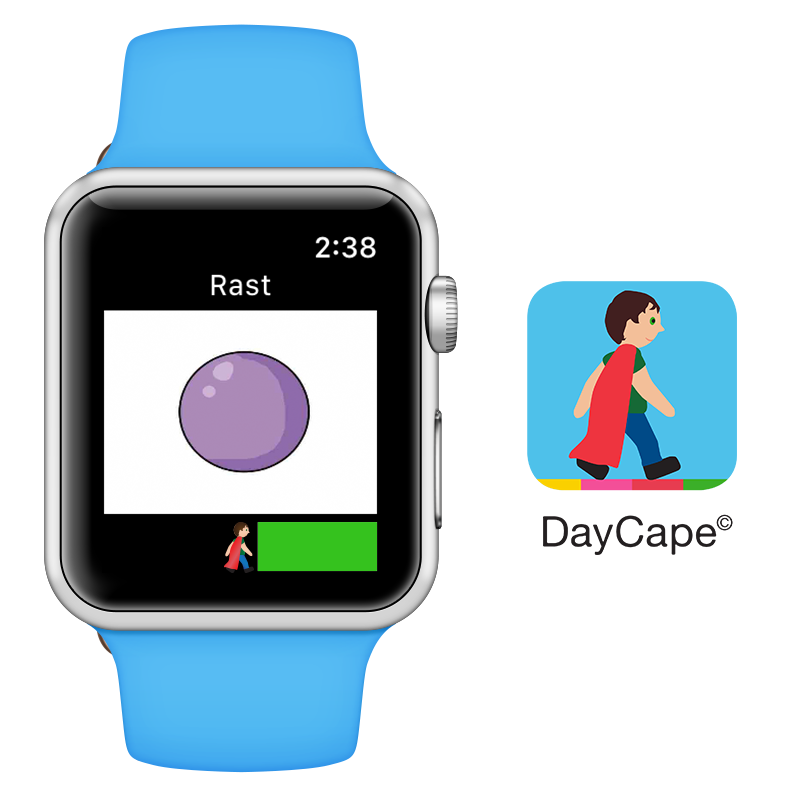 DayCape has launched several new functions in the past year, and is now taking a further step into the future with the launch of a DayCape app for the Apple Watch. Smart watches are becoming an increasingly widespread complement to smart phones. DayCape for the Apple Watch now offers the user functions that have been specially developed to simplify the user experience even further, and make DayCape an integral part of everyday life. DayCape is initially being launched for the Apple Watch, and we plan to develop the app for further smart watch systems. DayCape for the Apple Watch will be launched in the Apple Store in the week beginning with 15 May. “DayCape is guided by the needs and wishes of our users. When we were asked whether we were planning to launch an app for the Apple Watch, we didn’t waste time, but started work directly. The idea of DayCape is to offer support at all times of the day. When a user does not have a smart phone or tablet computer available, the Apple Watch offers further security. We have seen that the number of users is increasing rapidly, and we want to remain in the forefront of development, and live up to the expectations placed on us. We’re looking forward to hearing the reactions of Apple Watch users,” says Anton Håkanson, founder of DayCape. DayCape was founded in 2014. It is a digital image calendar and planning tool for parents and teachers with children who need additional support. DayCape has been downloaded 18,000 times and the system has received several awards. Examples are awards from Reach for Change, Forbes, European Youth Awards and Business Challenge. ← Yes! You can now login as a teacher, parent or child and plan the day directly in the app.